C Ribet Limited editions are sold at CRibet.com (the old C Ribet Yahoo Store). Open Editions are here and sold through the new C Ribet Zenfolio online gallery accessible throughout this web site at most all pages. I am adding more images to the Open Editions because of two reason, first, I am unable to myself print on metal or acrylic substrates which is possible now at the FineArtAmerica gallery, second, the online framing and matting tool is absolutely fantastic through the FineArtAmerica system, and third, it give me more time to work creatively instead of managing databases of COAs and print numbers etc. etc. which go along with producing limited edition artwork. I have also found that I can offer a higher quality greeting card (always popular) than by producing them myself as I used to in the past. All of these reasons make a very compelling case for me to move to the FineArtAmerica POD system. Of course, it also reduces costs dramatically to you as a collector. 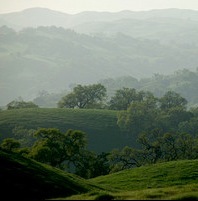 Discover the incredible beauty of California oak trees and oak landscapes! The verdent slopes, hills, and savannas of California nurture a tremendous abundance of oak trees at all stages of life. Like each oak tree itself, each C Ribet limited edition print is totally unique and expresses a different mood and interpretation of the California landscape. Visit the on-line gallery by clicking a link above to browse these splendid images of California. Enter a virtual mushroom art gallery of colorful mushroom pictures - fungi and mushroom art pages exclusively devoted to the wild mushrooms and fungi art of C Ribet whose mushroom art celebrates the diversity of the mushroom kingdom and wild mushrooms mycology. Click on the above mushroom photos or text links to enter the mushroom kingdom and to learn more about mushroom mycology and the fungi art prints and mushroom pictures of C Ribet. It is an impossible struggle to describe these images in words. These mystical images of water orbscapes and water portraiture defy any conventional description. There is a spiritual connection made within these images which leads to contemplation and participation by the viewer.